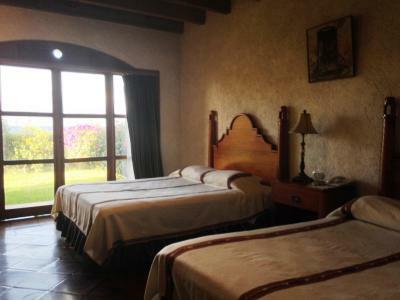 Lock in a great price for Hotel Posada de Don Rodrigo Panajachel – rated 8.3 by recent guests! The location. 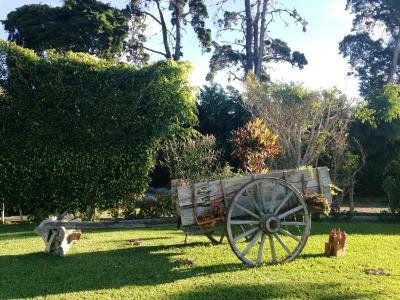 The grounds were breathtaking. It was just as I expected. 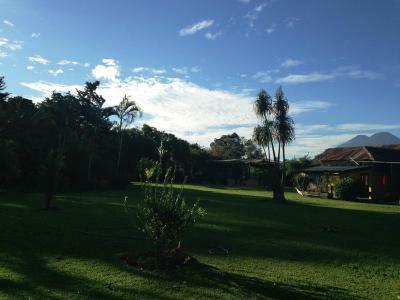 Our team was there for a one night rest after our mission trip in Chichicastanengo. 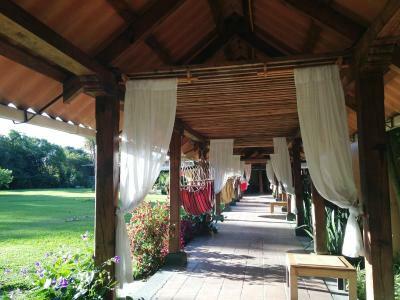 It was perfect for some rest and relaxation. 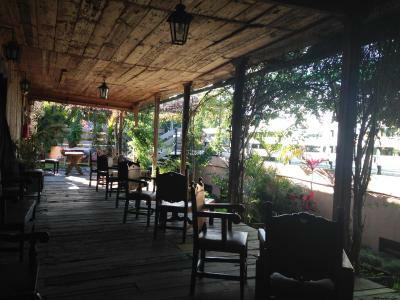 The location of the hotel is excellent with easy access to restaurants and the boat dock to take day trips to the towns around the lake. I like the location and the view. Cheap laundry service. We confirmed our reservation a room with a lake view the most expensive one. Upon arrival we were told that they did not have the room. We got downgraded to a dirty room with no view at the same price. I went online to book another room and the room with the lake view was available. The bed was average. The shower had excellent water flow. The pool was large with warm water and a great slide. There were also some games to play. The grounds are pretty, but everything else is just average. 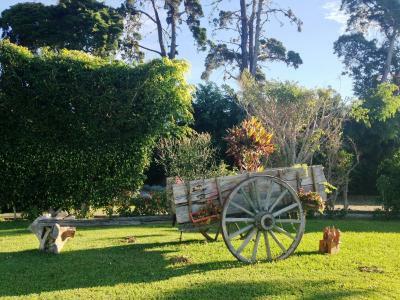 The property has a great location to the Lake and the views. It is close to restaurants and shopping. 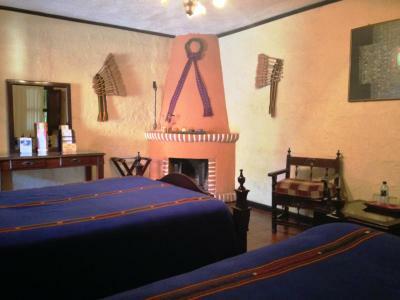 The hotel is well kept, tastefully decorated and the room is immaculate. It’s at the end of Calle Santendar, overlooking the lake and public embarcdero walkway. We had a lake view room with a patio that opened to a small lawn area visited by butterflies and hummingbirds. 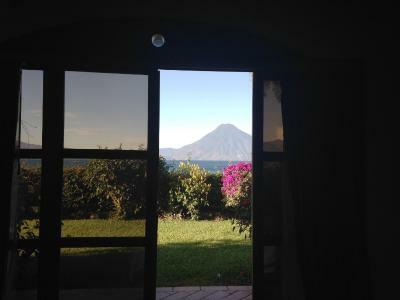 The lake view includes a volcano view which is nice to wake up to. 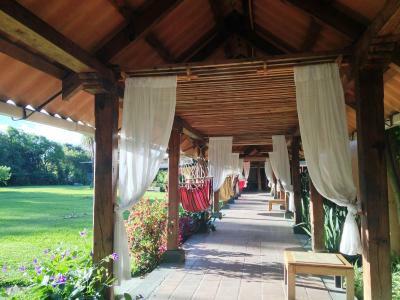 The grounds of the hotel are lush and green - lots of flowers and hammocks lining the walkway. Agua pura is provided and if you run out you can refill the glass bottle at the urn in the walkway. I found it quiet with regards to any street noise but I could hear the guest next door. Staff was very helpful. Beds and pillows confortable. Service at the restaurant very good. 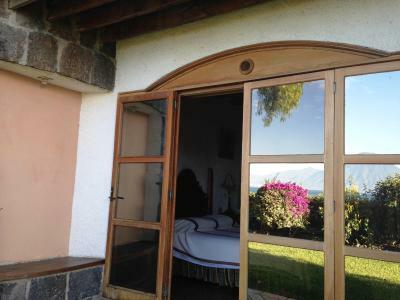 Good location, spacious rooms and stunning lake views. Wellness (massage) upon request. Good restaurant / breakfast bar! 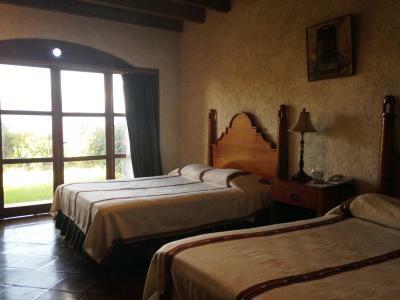 Hotel Posada de Don Rodrigo Panajachel This rating is a reflection of how the property compares to the industry standard when it comes to price, facilities and services available. It's based on a self-evaluation by the property. Use this rating to help choose your stay! 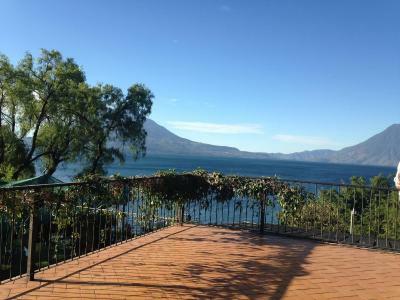 Set in attractive gardens overlooking Lake Atitlán, Hotel Posada de Don Rodrigo Panajachel is located in the village of Panajachel. 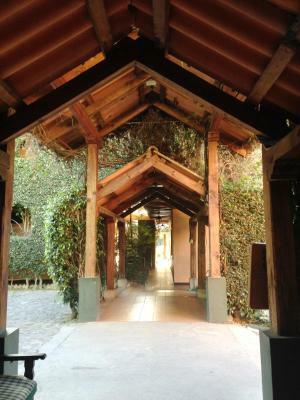 It features a restaurant and a bar. 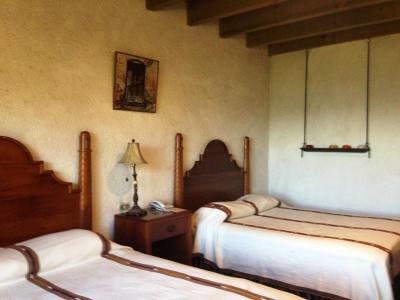 Each room at Hotel Posada de Don Rodrigo Panajachel has simple décor. 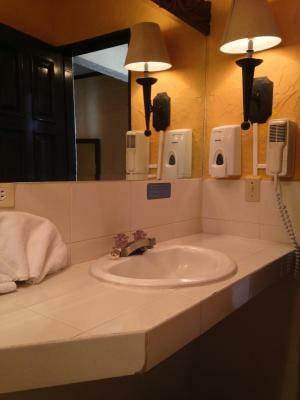 There is free Wi-Fi, cable TV and a private bathroom with free toiletries. 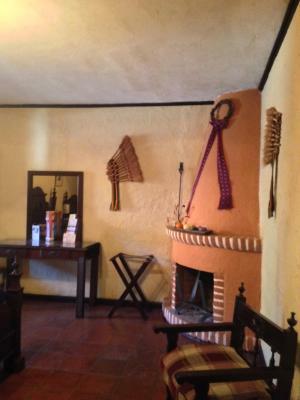 Guests can enjoy a range of Guatemalan cuisine in the Don Rodrigo’s restaurant. 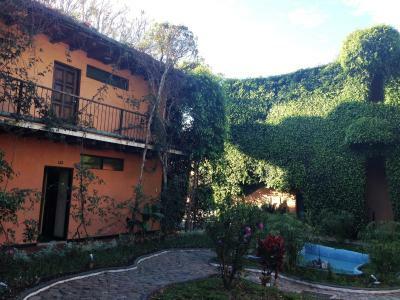 The hotel is located next to Lacustre de Atitlan Museum. Ferries to other lakeside villages leave from the nearby dock. Atitlán and San Pedro volcanoes can be reached in 40 minutes by car. Guatemala City is just over 62 mi away. 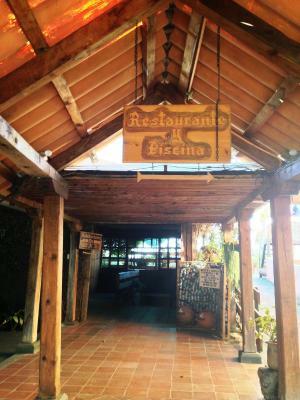 This is our guests' favorite part of Panajachel, according to independent reviews. 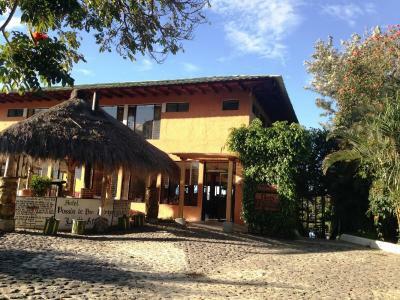 This property also has one of the top-rated locations in Panajachel! Guests are happier about it compared to other properties in the area. 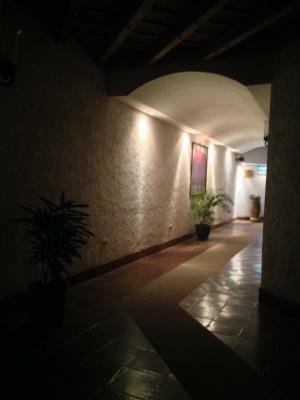 When would you like to stay at Hotel Posada de Don Rodrigo Panajachel? 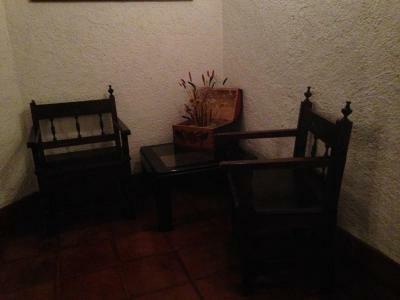 This room has simple décor, free Wi-Fi, cable TV and a private bathroom with free toiletries. 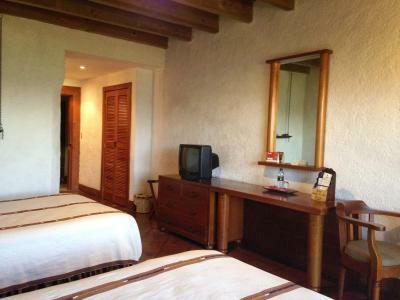 Offering lake views, this room has simple décor, free Wi-Fi, cable TV and a private bathroom with free toiletries. 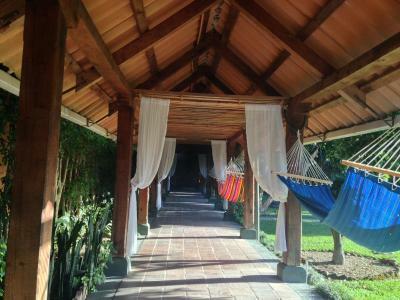 House Rules Hotel Posada de Don Rodrigo Panajachel takes special requests – add in the next step! One child under 12 years is charged USD 80 per night when using existing beds. Hotel Posada de Don Rodrigo Panajachel accepts these cards and reserves the right to temporarily hold an amount prior to arrival. The food was quite good in the restaurant but the hotel does cater for large tour groups, something we prefer to avoid. Not sure about security, particularly in the restaurant. 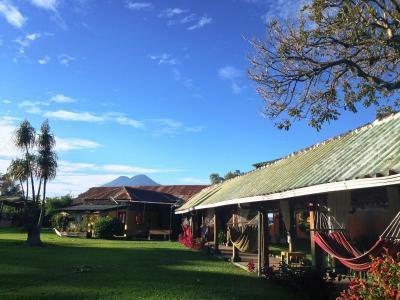 Panajachel is over touristy and in retrospect I would not have chosen it as a place to stay, however I would definitely recommend Lake Atitlan as a place to visit. The view across Lake Atitlan can not be beaten, the hotel was well situated, allowing easy access to the lake and the interesting towns elsewhere around the shores. 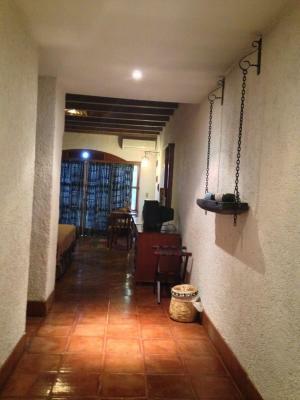 The rooms were comfortable and spacious and ours opened onto a narrow but well kept strip of garden. This was on a raised level overlooking the beautiful lake. 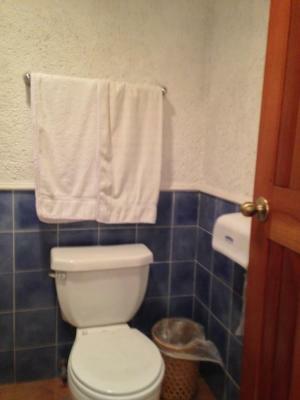 The bathroom was a little small and dark but functional. The staff in reception were very good and helpful, particularly in assisting with transfers to and from hotel and arranging a tour of the small towns on the other side of the lake. Being 6 ft, 2 inches I need a bed without a footboard. Didn't have that at this hotel. Room was slightly dark without view but we didn’t need that. Location, views staff and secure parking. The restaurant is very expensive for what you get, especially for breakfast. For the price of the room they could include the basic ammenities like shampoo, lotion, etc they only provide soap from a dispenser. Also no tea or coffee machine in the room. We requested one of the rooms to be a king bed when doing the reservation, upon arrival they informed us it was not possible. they did not honor their reservation they try to move us to another facility. This is the second time they sell our room. AC in room didn't work. No soap, no Kleenex, no shampoo or conditioner. 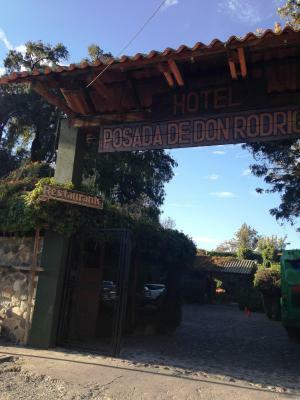 An extremely disappointed experience with Posada Don Rodrigo hotel! 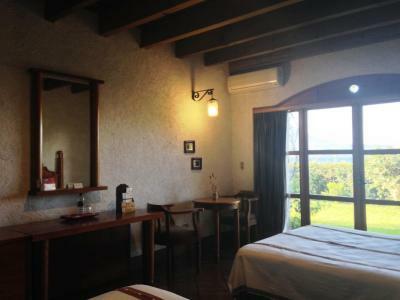 Initially, I reserved a room with a lake view and air conditioning 3 months in advanced. 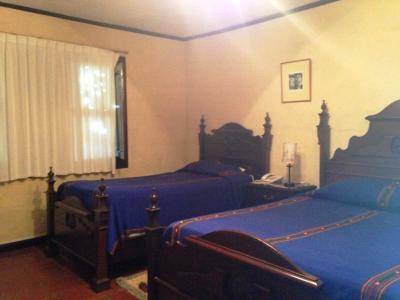 Once I arrived at Guatemala, I called to confirm my reservation indicating that we made the reservation for a double bed room with a lake view and air conditioning. They assured and confirmed to me that the room with the lake view and ac was available. 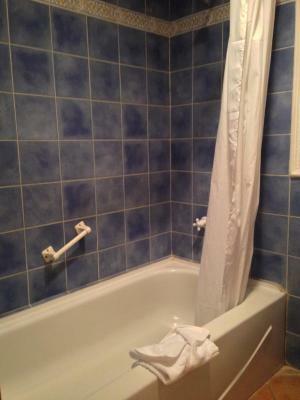 However, when I arrived after a 3 hours drive from I was told that there was not room available. My family and I spent at least 90 minutes going back and forth with the Front Desk Staff. I had to call the booking.com number. 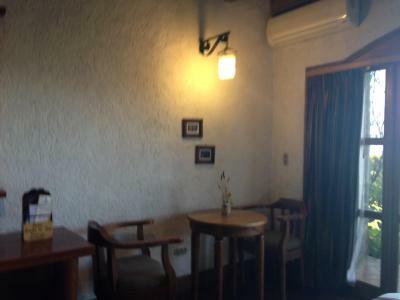 That is when the staff said they had a room but not the one I reserved. 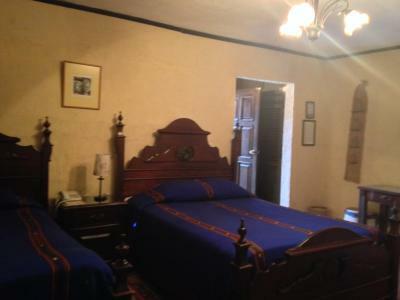 The first room they showed me was totally unacceptable and not a tiny reflection of what I reserved. The second option, was not better either but at least had a window. 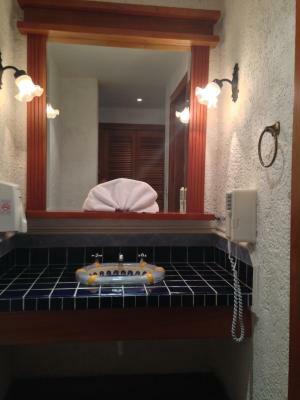 To give a short description, the toilet was cracked, the lamp was missing a light bulb, the bathroom was dark and there was no air conditioning or fan. My husband and family were frustrated. Then they offered a second optional room at another hotel that was a few miles away, which would have taken us away from the area. 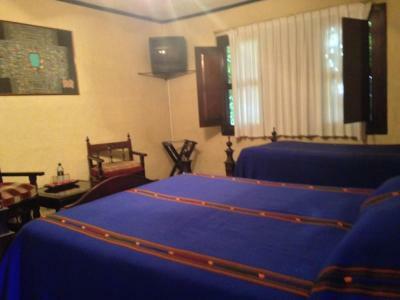 We specifically choose Posada Don Rodrigo for its location and for the description provided in booking.com. Finally, without any additional options or additional help from booking.com we decided to stay at the dump with no view or air conditioning at the same price. The front desk staff offered two breakfasts and one dinner; however, at the time of check out this was not true. We had to pay additional money for the breakfast and dinner. 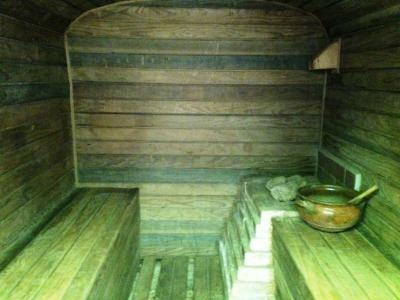 No amenities or discount was given after the unpleasant experience. I hope this does not happened to any other guests. We were treated very disrespectful. The room was dirty and it included roaches, spiders and full of dust. They're doing some works in the gardens and it gets very dusty. First and second day the pool was out of service. The room and the view was amazing. Low light in the bedroom. Average view of the lake. Average bedroom comfort. The bed was moderately comfortable. Things are quite dated.